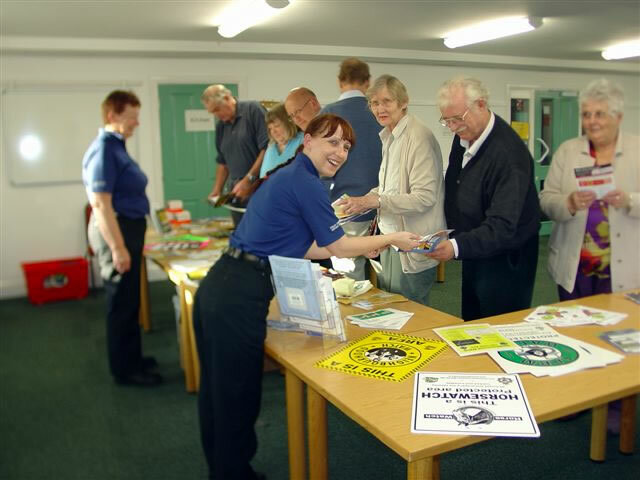 On Thursday 29th March 2012 Wincanton police community support officers presented a Sheducation themed crime reduction evening at the SSDC conference room at Churchfields, Wincanton. This was well attended by members of the public and lots of advice and leaflets were given out. We were lucky enough to have some free crime reduction items as well for people to take and these went well. The advice given was general about securing sheds and property to make it more difficult to be removed. By marking property with postcodes or stamping a unique reference number or code onto property it is less desirable for criminals as it is not so easy to sell on to others. If anyone would like some crime reduction advice or a visit by the local beat team to discuss this please contact either your local police station or phone through on the 101 non emergency number. If you have the details of your local police community support officer you can contact them direct. Police community support officer Timothy Russell, Thelma Mead and Mandy Forsey were all in attendance on hand to give out crime reduction advice on the night.